From Vietnam to Desert Storm to Afghanistan, Winship Cancer Institute physicians, nurses and other staff have honorably served our country. In a series of feature photos, the cancer center at Emory University salutes and thanks them for their commitment, courage and compassion. 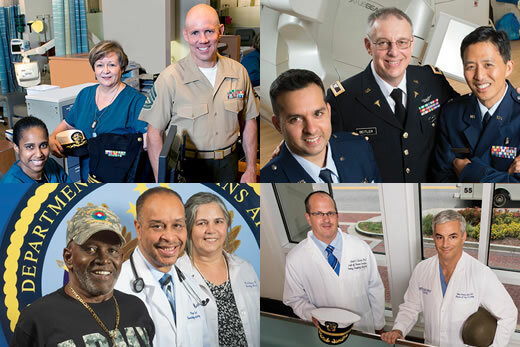 Above: Winship's radiation oncology department is full of medical heroes, but three doctors stand out for their service to our country. 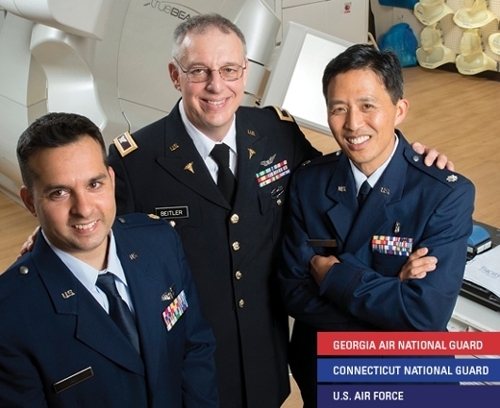 Arif Ali is a Major in the Georgia Air National Guard with 14 years of service, Jonathan Beitler is a Colonel in the Connecticut National Guard with 32 years of service, and Trevor Lim is a Lt. Colonel in the U.S. Air Force with 17 years of service. 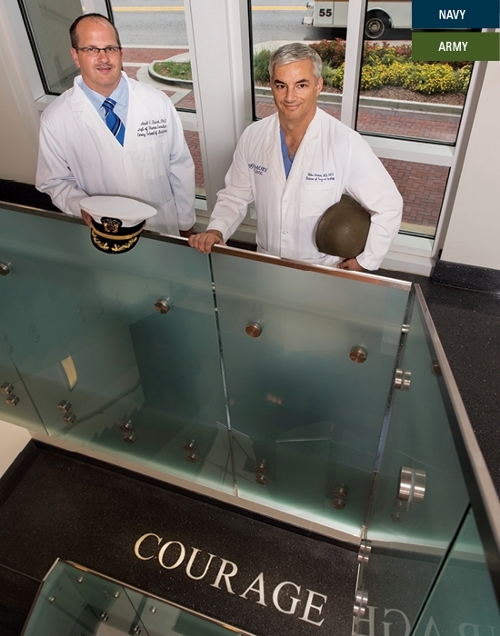 Above: The word courage has special meaning for newly retired military officers Michael Zwick (left) and Cletus Arciero (right). Zwick, director of the Emory Integrated Genomics Core, served in the Navy for 25 years and retired as a Commander and surface warfare officer. 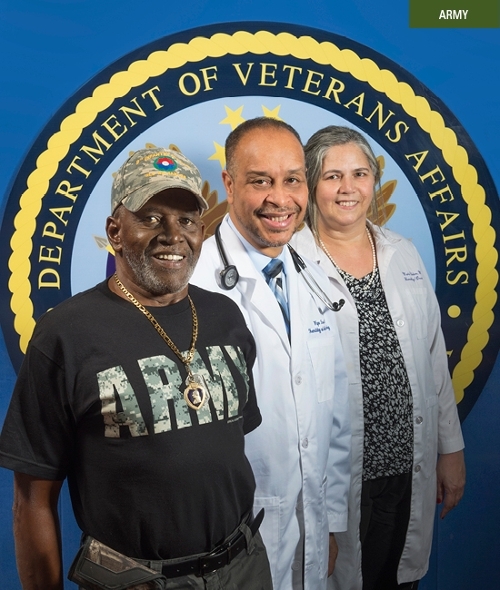 Arciero, a surgical oncologist specializing in breast cancer and melanoma, served in the Army for 25 years and retired as a Colonel and chief of General Surgery at the Eisenhower Army Medical Center at Fort Gordon, Georgia. Above: Commitment is second nature for Lisa Anderson, Andrew West and Deatra Perkins. They've served oncology patients and their country for years. 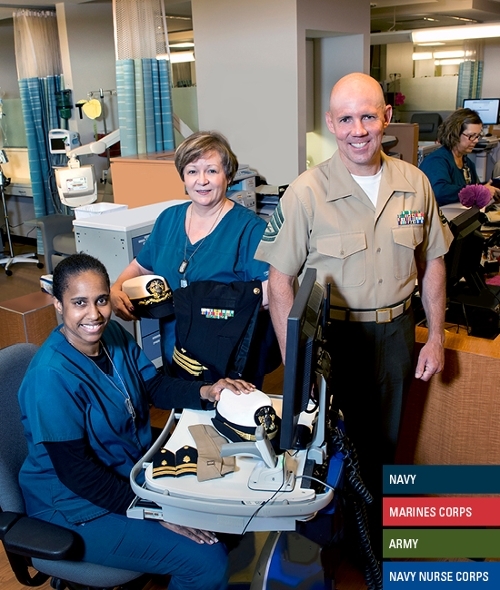 Anderson, an oncology nurse at Emory Saint Joseph's Hospital, retired from the Navy after 12 years as a nurse; West, senior director for ACTSI (Atlanta Clinical & Translational Science Institute) is an active duty gunnery sergeant in the Marines; Perkins, a Winship oncology nurse in the infusion center, served first in the Army and then became a commissioned officer in the Navy Nurse Corps.